Speculation has the Mi Max powered by the Snapdragon 820 chipset, although another rumor says that the device will be the first to employ the manufacturer's first in-house SoC. There also seems to be some confusion about the placement of the fingerprint scanner, with the previous picture of the front panel revealing that there is no home button on the front of the unit. 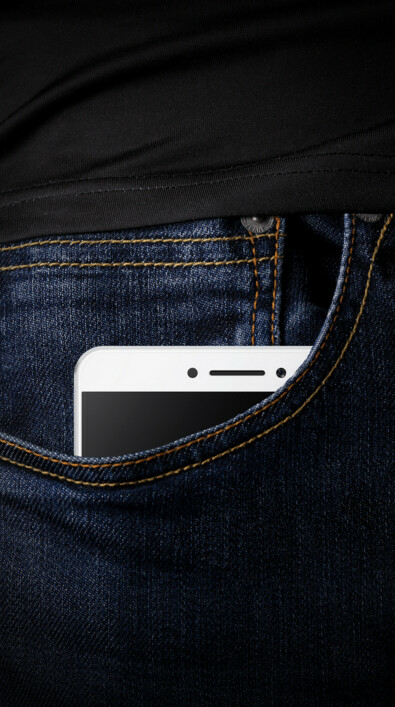 That means that on the Mi Max, the biometric scanner will be housed on the back of the phone. Yet, alleged renders of the phablet show a device that looks exactly like the Xiaomi Mi 5 right down to the fingerprint scanner on the front of the device. Hmm. As is the case with most unannounced handsets, there are plenty of mysteries surrounding the Xiaomi Mi Max. Hopefully, we can clear them all up shortly. wow so big! I remember when dell streek 5 came out and everyone is just confused with its size. I got the Streak 5 when it was released (sill have it and it still works!) I almost got tired of people saying THAT is your phone? It's so big? Why would you need a phone THAT big for? Guess I was ahead of the curve. Holding it to your ear wasn't an issue, since I use BT for the phone 100% of the time. I'm up to a 6.1" screen on my Huawei Ascend Mate2, which still isn't that big. On the plus side, you can't text one handed, so you can't text & drive, at all. Maybe mc hammer jeans are making a comeback.